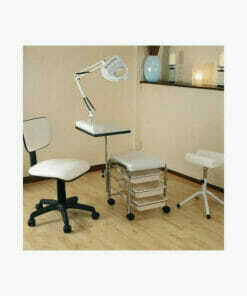 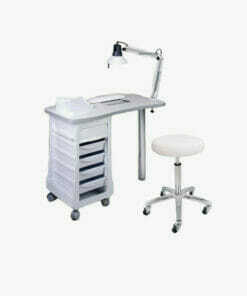 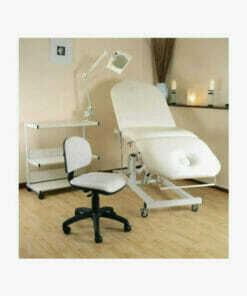 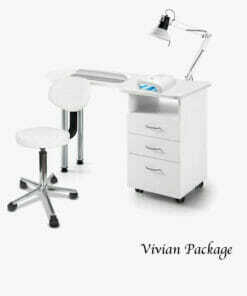 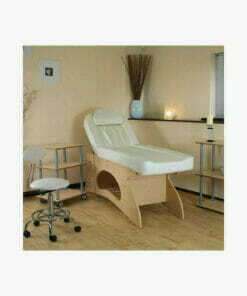 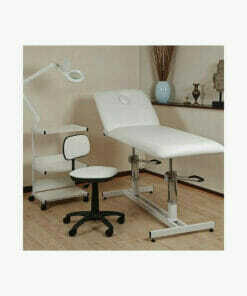 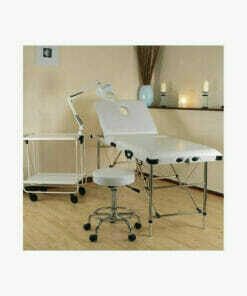 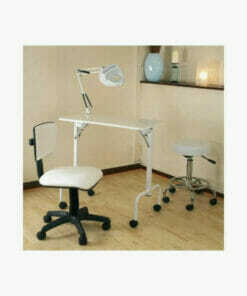 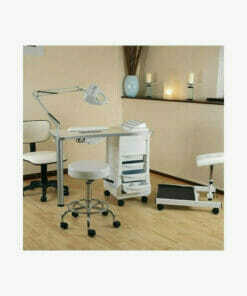 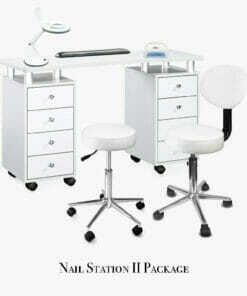 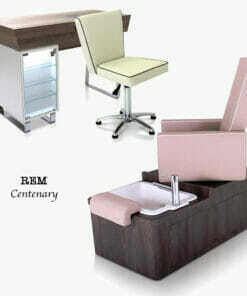 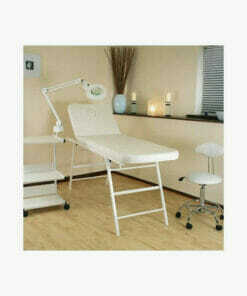 Skinmate Manicure Table Set, white nail manicure desk with arm rest, nail polish rack and manicure lamp. 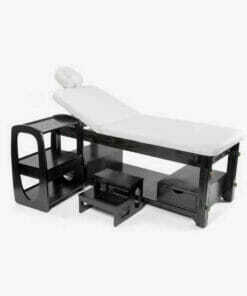 Adjustable table leg and 4 drawer tower storage with lockable wheels. 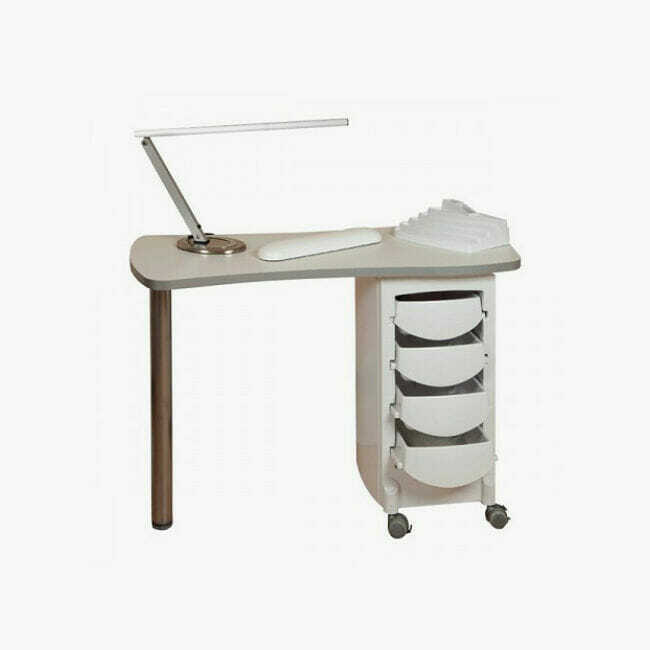 Please Note this manicure table does not have an extractor fitted. 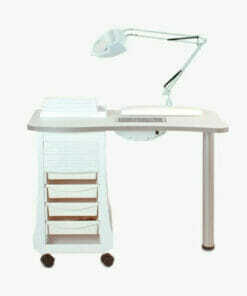 Dimensions length 111cm, width 48cm, height 74cm.